The provisions of the Colorado statutes that permit the filing of mechanics liens and materialmen's liens can be found at Colorado Code 38-22-101 et. seq. The full text of the Colorado Mechanics Lien Law is provided below, and has been updated as of 2011. 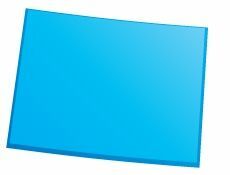 To see a quick synopsis of the most important provisions, take a look at our Colorado Frequently Asked Questions page. (1) Every person who furnishes or supplies laborers, machinery, tools, or equipment in the prosecution of the work, and mechanics, materialmen, contractors, subcontractors, builders, and all persons of every class performing labor upon or furnishing directly to the owner or persons furnishing labor, laborers, or materials to be used in construction, alteration, improvement, addition to, or repair, either in whole or in part, of any building, mill, bridge, ditch, flume, aqueduct, reservoir, tunnel, fence, railroad, wagon road, tramway, or any other structure or improvement upon land, including adjacent curb, gutter, and sidewalk, and also architects, engineers, draftsmen, and artisans who have furnished designs, plans, plats, maps, specifications, drawings, estimates of cost, surveys, or superintendence, or who have rendered other professional or skilled service, or bestowed labor in whole or in part, describing or illustrating, or superintending such structure, or work done or to be done, or any part connected therewith, shall have a lien upon the property upon which they have furnished laborers or supplied machinery, tools, or equipment or rendered service or bestowed labor or for which they have furnished materials or mining or milling machinery or other fixtures, for the value of such laborers, machinery, tools, or equipment supplied, or services rendered or labor done or laborers or materials furnished, whether at the instance of the owner, or of any other person acting by the owner’s authority or under the owner, as agent, contractor, or otherwise for the laborers, machinery, tools, or equipment supplied, or work or labor done or services rendered or laborers or materials furnished by each, respectively, whether supplied or done or furnished or rendered at the instance of the owner of the building or other improvement, or the owner’s agent; and every contractor, architect, engineer, subcontractor, builder, agent, or other person having charge of the construction, alteration, addition to, or repair, either in whole or in part, of said building or other improvement shall be held to be the agent of the owner for the purposes of this article. (2) In case of a contract for the work, between the reputed owner and a contractor, the lien shall extend to the entire contract price, and such contract shall operate as a lien in favor of all persons performing labor or services or furnishing laborers or materials under contract, express or implied, with said contractor, to the extent of the whole contract price; and after all such liens are satisfied, then as a lien for any balance of such contract price in favor of the contractor. (3) All such contracts shall be in writing when the amount to be paid thereunder exceeds five hundred dollars, and shall be subscribed by the parties thereto. The contract, or a memorandum thereof, setting forth the names of all the parties to the contract, a description of the property to be affected thereby, together with a statement of the general character of the work to be done, the estimated total amount to be paid thereunder, together with the times or stages of the work for making payments, shall be filed by the owner or reputed owner, in the office of the county clerk and recorder of the county where the property, or the principal portion thereof, is situated before the work is commenced under and in accordance with the terms of the contract. In case such contract, or a memorandum thereof, is not so filed, the labor done and materials furnished by all persons shall be deemed to have been done and furnished at the personal instance of the owner, and such persons shall have a lien for the value thereof. (4) For the purposes of this article, the value of labor done shall include, but not be limited to, the payments required under any labor contract to any trust established for the provision of any pension, profit-sharing, vacation, health and welfare, prepaid legal services, or apprentice training benefits for the use of the employees of any contractors, and the trustee of any such trust shall have a lien therefor. (5) All claimants who establish the right to a lien or claim under any of the provisions of this article shall be entitled to receive interest on any such lien or claim at the rate provided for under the terms of any contract or agreement under which the laborers were furnished or the labor or material was supplied or, in the absence of an agreed rate, at the rate of twelve percent per annum. (6) For purposes of this article, “person” means a natural person, firm, association, corporation, or other legal entity; except that it shall not include a labor organization as defined in section 24-34-401(6), C.R.S. (d) Two percent of the contract price in excess of seven hundred fifty thousand dollars. (2) No payment made prior to the time when the same is due, under the terms and conditions of the contract, shall be valid for the purpose of defeating, diminishing, or discharging any lien in favor of any person, except the contractor or other person to or for whom the payment is made, but as to such liens, such payment shall be deemed as if not made and shall be applicable to such liens, notwithstanding that the contractor or other person to or for whom it was paid may thereafter abandon his contract, or be or become indebted to the reputed owner in any amount for damages or otherwise or for nonperformance of his contract or otherwise. (3) As to all liens, except those of principal contractors, the whole contract price shall be payable in money, and shall not be diminished by any prior or subsequent indebtedness, offset, or counterclaim in favor of the reputed owner and against the principal contractor, and no alteration of such contract shall affect any lien acquired under the provisions of this article. In case such contracts and alterations thereof do not conform substantially to the provisions of this section, the labor done and laborers or materials furnished by all persons other than the principal contractor shall be deemed to have been done and furnished at the personal instance and request of the person who contracted with the principal contractor, they shall have a lien for the value thereof. (c) The property is a single-family, owner-occupied dwelling unit, including a residence constructed and sold for occupancy as a primary residence. This paragraph (c) shall not apply to a developer or builder of multiple residences except for the residence that is occupied as the primary residence of the developer or builder. (4) Any of the persons mentioned in section 38-22-101, except a principal contractor, at any time may give to the owner, or reputed owner, or to the superintendent of construction, agent, architect, or to the financing institution or other person disbursing construction funds, a written notice that they have performed labor or furnished laborers or materials to or for a principal contractor, or any person acting by authority of the owner or reputed owner, or that they have agreed to and will do so, stating in general terms the kind of labor, laborers, or materials and the name of the person to or for whom the same was or is to be done, or performed, or both, and the estimated or agreed amount in value, as near as may be, of that already done or furnished, or both, and also of the whole agreed to be done or furnished, or both. (5) Such notice may be given by delivering the same to the owner or reputed owner personally, or by leaving it at his residence or place of business with some person in charge; or by delivering it either to his superintendent of construction, agent, architect, or to the financing institution or other person disbursing construction funds, or by leaving it either at their residence or place of business with some person in charge. No such notice shall be invalid or insufficient by reason of any defect of form, provided it is sufficient to inform the owner or reputed owner of the substantial matters provided for in this section, or to put him upon inquiry as to such matters. (6) Upon such notice being given, it is the duty of the person who contracted with the principal contractor to withhold from such principal contractor, or from any other person acting under such owner or reputed owner, and to whom, by said notice, the said labor, laborers, or materials, have been furnished or agreed to be furnished, sufficient money due or that may become due to said principal contractor, or other persons, to satisfy such claim and any lien that may be filed therefor for record under this article, including reasonable costs provided for in this article. (7) The payment of any such lien, which has been acknowledged by such principal contractor, or other person acting under such owner or reputed owner in writing to be correct, or which has been established by judicial determination, shall be taken and allowed as an offset against any moneys which may be due from the owner, or reputed owner to such principal contractor, or the person for whom such work and labor was performed or furnished. (1) The liens granted by this article shall extend to and cover so much of the lands whereon such building, structure, or improvement is made as may be necessary for the convenient use and occupation of such building, structure, or improvement, and the same shall be subject to such liens. In case any such building occupies two or more lots or other subdivisions of land, such several lots or other subdivisions shall be deemed one lot for the purposes of this article, and the same rule shall hold in cases of any other such improvements that are practically indivisible, and shall attach to all machinery and other fixtures used in connection with any such lands, buildings, mills, structures, or improvements. (2) When the lien is for work done or labor or material furnished for any entire structure, erection, or improvement, such lien shall attach to such building, erection, or improvement for or upon which the work was done, or laborers or materials furnished in preference to any prior lien or encumbrance, or mortgage upon the land upon which the same is erected or put, and any person enforcing such lien may have such building, erection, or improvement sold under execution and the purchaser at any such sale may remove the same within thirty days after such sale. (3) Any lien provided for by this article shall extend to and embrace any additional or greater interest in any of such property acquired by such owner at any time subsequent to the making of the contract or the commencement of the work upon such structure and before the establishment of such lien by process of law, and shall extend to any assignable, transferable, or conveyable interest of such owner or reputed owner in the land upon which such building, structure, or other improvement is erected or placed. (4) Whenever any person furnishes any laborers or materials or performs any labor, for the erection, construction, addition to, alteration, or repair of two or more buildings, structures, or other improvements, when they are built and constructed by the same person and under the same contract, it is lawful for the person so furnishing such laborers or materials or performing such labor to divide and apportion the same among the buildings, structures, or other improvements in proportion to the value of the laborers or materials furnished for and the labor performed upon or for each of said buildings, structures, or other improvements and to file with his or her lien claim therefor a statement of the amount so apportioned to each building, structure, or other improvement. This lien claim when so filed may be enforced under the provisions of this article in the same manner as if said laborers or materials had been furnished and labor performed for each of said buildings, structures, or other improvements separately; but if the cost or value of such labor, laborers, or materials cannot be readily and definitely divided and apportioned among the several buildings, structures, or other improvements, then one lien claim may be made, established, and enforced against all such buildings, structures, or other improvements, together with the ground upon which the same may be situated, and in such case for the purposes of this article, all such buildings, structures, and improvements shall be deemed one building, structure, or improvement, and the land on which the same are situated as one tract of land. The provisions of this article shall apply to all persons who do work or furnish laborers or materials, or mining, milling, or other machinery or other fixtures, as provided in section 38-22-101, for the working, preservation, prospecting, or development of any mine, lode, or mining claim or deposit yielding metals or minerals of any kind, or for the working, preservation, or development of any such mine, lode, or deposit, in search of any such metals or minerals; and to all persons who do work upon or furnish laborers or materials, mining, milling, and other machinery or other fixtures, as provided in section 38-22-101, upon, in, or for any shaft, tunnel, mill, or tunnel site, incline, adit, drift, or any draining or other improvement of or upon any such mine, lode, deposit, or tunnel site; and to every miner or other person who does work upon or furnishes any laborers, coal, power, provisions, timber, powder, rope, nails, candles, fuse, caps, rails, spikes, or iron, or other materials whatever, as provided in section 38-22-101, upon any mine, lode, deposit, mill, or tunnel site. But when two or more lodes, mines, or deposits owned or claimed by the same person are worked through a common shaft, tunnel, incline, adit, drift, or other excavation, then all the mines, mining claims, lodes, deposits, and tunnel and mill sites so owned and worked or developed, for the purpose of this article shall be deemed one mine. This section is not applicable to the owner of any mine, lode, mining claim, deposit, mill, or tunnel where the work or labor has been performed for or the laborers or materials furnished to a lessee. (1) Any building, mill, manufactory, bridge, ditch, flume, aqueduct, reservoir, tunnel, fence, railroad, wagon road, tramway, and every structure or other improvement mentioned in this article, constructed, altered, added to, removed to, or repaired, either in whole or in part, upon or in any land with the knowledge of the owner or reputed owner of such land, or of any person having or claiming an interest therein, otherwise than under a bona fide prior recorded mortgage, deed of trust, or other encumbrance, or prior lien shall be held to have been erected, constructed, altered, removed, repaired, or done at the instance and request of such owner or person, including landlord or vendor, who by lease or contract has authorized such improvements, but so far only as to subject his interest to a lien therefor as provided in this section. (2) Such interest so owned or claimed shall be subject to any lien given by the provisions of this article, unless such owner or person within five days after obtaining notice of the erection, construction, alteration, removal, addition, repair, or other improvement, gives notice that his or her interests shall not be subject to any lien for the same by serving a written or printed notice to that effect, personally, upon all persons performing labor or furnishing laborers, materials, machinery, or other fixtures therefor, or within five days after such owner or person has obtained notice of the erection, construction, alteration, removal, addition, repair, or other improvement, or notice of the intended erection, construction, alteration, removal, addition, repair, or other improvement gives such notice by posting and keeping posted a written or printed notice in some conspicuous place upon said land or upon the building or other improvements situate thereon. (3) This section shall not apply to coowners of unincorporated canals, ditches, flumes, aqueducts, and reservoirs nor to the enforcement of article 23 of this title. The provisions of this section shall not be construed to apply to any owner or person claiming any interest in such property, the interest of whom is subject to a lien pursuant to the provisions of section 38-22-101. (1) Upon issuing a building permit for the improvement, restoration, remodeling, or repair of or the construction of improvements or additions to residential property, the agency or other authority issuing the permit shall send a written notice, as set forth in subsection (2) of this section, by first-class mail addressed to the property for which the permit was issued. (2) The notice shall be in at least ten-point bold-faced type, if printed, or in capital letters, if typewritten, shall identify the contractor by name and address, and shall state substantially as follows: IMPORTANT NOTICE TO OWNERS: UNDER COLORADO LAW, SUPPLIERS, SUBCONTRACTORS, OR OTHER PERSONS FURNISHING LABORERS OR PROVIDING LABOR OR MATERIALS FOR WORK ON YOUR RESIDENTIAL PROPERTY MAY HAVE A RIGHT TO COLLECT THEIR MONEY FROM YOU BY FILING A LIEN AGAINST YOUR PROPERTY. A LIEN CAN BE FILED AGAINST YOUR RESIDENCE WHEN A SUPPLIER, SUBCONTRACTOR, OR OTHER PERSON IS NOT PAID BY YOUR CONTRACTOR FOR SUCH LABORERS, LABOR, OR MATERIALS. HOWEVER, IN ACCORDANCE WITH THE COLORADO GENERAL MECHANICS’ LIEN LAW, SECTIONS 38-22-102(3.5) AND 38-22-113(4), COLORADO REVISED STATUTES, YOU HAVE AN AFFIRMATIVE DEFENSE IN ANY ACTION TO ENFORCE A LIEN IF YOU OR SOME PERSON ACTING ON YOUR BEHALF HAS PAID YOUR CONTRACTOR AND SATISFIED YOUR LEGAL OBLIGATIONS. YOU MAY ALSO WANT TO DISCUSS WITH YOUR CONTRACTOR, YOUR ATTORNEY, OR YOUR LENDER POSSIBLE PRECAUTIONS, INCLUDING THE USE OF LIEN WAIVERS OR REQUIRING THAT EVERY CHECK ISSUED BY YOU OR ON YOUR BEHALF IS MADE PAYABLE TO THE CONTRACTOR, THE SUBCONTRACTOR, AND THE SUPPLIER FOR AVOIDING DOUBLE PAYMENTS IF YOUR PROPERTY DOES NOT SATISFY THE REQUIREMENTS OF SECTIONS 38-22-102(3.5) AND 38-22-113(4), COLORADO REVISED STATUTES. YOU SHOULD TAKE WHATEVER STEPS NECESSARY TO PROTECT YOUR PROPERTY. (3) The notice prescribed by this section shall not be required when a building permit is issued for new residential construction or for residential property containing more than four living units. (a) “New residential construction” means the construction or addition of living units on real property that was previously unimproved or was used for nonresidential purposes. (b) “Residential property” means any real property, including improvements, containing living units used for human habitation. (5) To offset the cost of issuing the notice required by this section, the appropriate authority may raise the fee for a building permit by one dollar. (6) The failure of the agency or other authority which issues building permits to provide the notice required by this section shall not be an affirmative defense to any lien claimed pursuant to the provisions of this article; nor shall the agency or any employee of the agency incur liability as a result of such failure. (7) The agency or other authority which issues building permits may deliver the notice required by this section personally to the owner of the property, in lieu of mailing the notice as provided by subsection (1) of this section. (1) All liens established by virtue of this article shall relate back to the time of the commencement of work under the contract between the owner and the first contractor, or, if said contract is not in writing, then such liens shall relate back to and take effect as of the time of the commencement of the work upon the structure or improvement, and shall have priority over any lien or encumbrance subsequently intervening, or which may have been created prior thereto but which was not then recorded and of which the lienor, under this article, did not have actual notice. Nothing contained in this section, however, shall be construed as impairing any valid encumbrance upon any such land duly made and recorded prior to the signing of such contract or the commencement of work upon such improvements or structure. (2) No attachment, garnishment, or levy under an execution upon any money due or to become due to a contractor from the owner or reputed owner of any such property subject to any such lien shall be valid as against such lien of a subcontractor or materialmen, and no such attachment, garnishment, or levy upon any money due to a subcontractor or materialmen of the second class, as provided in section 38-22-108(1)(b), from the contractor shall be valid as against any lien of a laborer employed by the day or piece, who does not furnish any material as classified in this article. (c) The liens of all other principal contractors and all moneys realized in any actions for the satisfaction of liens against the same improvements or structures shall be paid out in the order above designated. (d) A statement of the amount due or owing such claimant. (2) Such statement shall be signed and sworn to by the party, or by one of the parties, claiming such lien, or by some other person in his or their behalf, to the best knowledge, information, and belief of the affiant; and the signature of any such affiant to any such verification shall be a sufficient signing of the statement. (3) In order to preserve any lien for work performed or laborers or materials furnished, there must be a notice of intent to file a lien statement served upon the owner or reputed owner of the property or the owner’s agent and the principal or prime contractor or his or her agent at least ten days before the time of filing the lien statement with the county clerk and recorder. Such notice of intent shall be served by personal service or by registered or certified mail, return receipt requested, addressed to the last known address of such persons, and an affidavit of such service or mailing at least ten days before filing of the lien statement with the county clerk and recorder shall be filed for record with said statement and shall constitute proof of such service. (4) All such lien statements claimed for labor and work by the day or piece, but without furnishing laborers or materials therefor, must be filed for record after the last labor for which the lien claimed has been performed and at any time before the expiration of two months next after the completion of the building, structure, or other improvement. (5) Except as provided in subsections (10) and (11) of this section, the lien statements of all other lien claimants must be filed for record at any time before the expiration of four months after the day on which the last labor is performed or the last laborers or materials are furnished by such lien claimant. (6) New or amended statements may be filed within the periods provided in this section for the purpose of curing any mistake or for the purpose of more fully complying with the provisions of this article. (7) No trivial imperfection in or omission from the said work or in the construction of any building, improvement, or structure, or of the alteration, addition to, or repair thereof, shall be deemed a lack of completion, nor shall such imperfection or omission prevent the filing of any lien statement or filing of or giving notice, nor postpone the running of any time limit within which any lien statement shall be filed for record or served upon the owner or reputed owner of the property or such owner’s agent and the principal or prime contractor or his or her agent, or within which any notice shall be given. For the purposes of this section, abandonment of all labor, work, services, and furnishing of laborers or materials under any unfinished contract or upon any unfinished building, improvement, or structure, or the alteration, addition to, or repair thereof, shall be deemed equivalent to a completion thereof. For the purposes of this section, “abandonment” means discontinuance of all labor, work, services, and furnishing of laborers or materials for a three-month period. (8) Subject to the prior termination of the lien under the provisions of section 38-22-110, no lien claimed by virtue of this article shall hold the property, or remain effective longer than one year from the filing of such lien, unless within thirty days after each annual anniversary of the filing of said lien statement there is filed in the office of the county clerk and recorder of the county wherein the property is located an affidavit by the person or one of the persons claiming the lien, or by some person in his behalf, stating that the improvements on said property have not been completed. (9) Upon the filing of the notice required and the commencement of an action, within the time and in the manner required by said section 38-22-110, no annual affidavit need be filed thereafter. (10) Within the applicable time period provided in subsections (4) and (5) of this section and subject to the provisions of section 38-22-125, any lien claimant granted a lien pursuant to section 38-22-101 may file with the county clerk and recorder of the county in which the real property is situated a notice stating the legal description or address or such other description as will identify the real property; the name of the person with whom he has contracted; and the claimant’s name, address, and telephone number. One such notice may be filed upon more than one property, and, in the case of a subdivision, one notice may describe only the part thereof upon which the claimant has or will obtain a lien pursuant to section 38-22-101. The filing of said notice shall serve as notice that said person may thereafter file a lien statement and shall extend the time for filing of the mechanic’s lien statement to four months after completion of the structure or other improvement or six months after the date of filing of said notice, whichever occurs first. Unless sooner terminated as provided in subsection (11) of this section, the notice provided for in this subsection (10) shall automatically terminate six months after the date said notice is filed. In the event that said structure or other improvements have not been completed prior to the termination of said notice, a claimant, prior to said termination date, may file a new or amended notice which shall remain effective for an additional period of six months after the date of filing or four months after the date of completion of said structure or other improvements, whichever occurs first. (11) Upon termination of agreement to provide labor, laborers, or materials, the owner, or someone in such owner’s behalf, may demand from the person filing said notice a termination of said notice, which termination shall identify the properties upon which labor has not been performed or to which laborers or materials have not been furnished and as to which said notice is terminated. Upon the filing of said termination in the office of the county clerk and recorder in the county wherein said property is situated, such notice no longer constitutes notice as provided in subsection (10) of this section as to the property described in said termination. (12) The notices provided for in subsections (10) and (11) of this section shall be recorded in the office of the county clerk and recorder of the county wherein the real property is located. No lien claimed by virtue of this article, as against the owner of the property or as against one primarily liable for the debt upon which the lien is based or as against anyone who is neither the owner of the property nor one primarily liable for such debt, shall hold the property longer than six months after the last work or labor is performed, or laborers or materials are furnished, or after the completion of the building, structure, or other improvement, or the completion of the alteration, addition to, or repair thereof, as prescribed in section 38-22-109, unless an action has been commenced within that time to enforce the same, and unless also a notice stating that such action has been commenced is filed for record within that time in the office of the county clerk and recorder of the county in which said property is situate. Where two or more liens are claimed of record against the same property, the commencement of any action and the filing of the notice of the commencement of such action within that time by any one or more of such lien claimants in which action all the lien claimants as appear of record are made parties, either plaintiff or defendant shall be sufficient. (1) Any number of persons claiming liens against the same property and not contesting the claims of each other may join as plaintiffs in the same action, and when separate actions are commenced, the court may consolidate them upon motion of any party in interest or upon its own motion. (2) Upon such procedure for consolidation, one case shall be selected with which the other cases shall be incorporated, and all the parties to such other cases shall be made parties plaintiff or defendant as the court may designate in said case so selected. All persons having claims for liens, the statements of which have been filed as provided in this article, shall be made parties to the action. (3) Those claiming liens who fail or refuse to become parties plaintiff, or for any reason have not been made such parties, shall be made parties defendant. Any party claiming a lien, not made a party to such action, at any time within the period provided in section 38-22-109, may be allowed to intervene by motion, upon cause shown, and may be made a party defendant on the order of the court, which shall fix by such order the time for such intervenor to plead or otherwise proceed. The pleadings and other proceedings of such intervenor thus made a party shall be the same as though he had been an original party. Any defendant who claims a lien, in answering, shall set forth by cross complaint his claim and lien. Likewise such defendant may set forth in said answer defensive matter to any claim or lien of any plaintiff or codefendant or otherwise deny such claim or lien. The owner of the property to which such lien has attached, and all other parties claiming of record any right, title, interest, or equity therein, whose title or interests are to be charged with or affected by such lien, shall be made parties to the action. It is sufficient to allege in the complaint in relation to any party claiming a lien whom it is desired to make a defendant, that such party claims a lien under this article upon the property described; and in case of the intervention of parties, or of the making of new parties, or of the consolidation of actions, so that the issues are in any manner changed or increased, any party to the action shall be allowed to amend his pleadings, or file new pleadings, as the nature of the case may require. (1) The court, whenever the issues in such case are made up, shall advance such cause to the head of the docket for trial and may proceed to hear and determine said liens and claims or may refer the same to a magistrate to ascertain and report upon said liens and claims and the amounts justly due thereon. (2) Judgments shall be rendered according to the rights of the parties. The various rights of all the lien claimants and other parties to any such action shall be determined and incorporated in one judgment or decree. Each party who establishes his claim under this article shall have judgment against the party personally liable to him for the full amount of his claim so established, and shall have a lien established and determined in said decree upon the property to which his lien has attached to the extent stated in this section. (3) Proceedings to foreclose and enforce mechanics’ liens under this article are actions in rem, and service by publication may be obtained against any defendant therein in a manner as provided by law, and personal judgment against the principal contractor or other person personally liable for the debt for which the lien is claimed shall not be requisite to a decree of foreclosure in favor of a subcontractor or materialman. (1) The court shall cause said property to be sold in satisfaction of said liens and costs of suit as in case of foreclosure of mortgages; and any party in whose favor a judgment for a lien is rendered, may cause the property to be sold within the time and in the manner provided for sales of real estate on executions issued out of any court of record, and there shall be the same rights of redemption as are provided for in the case of sales of real estate on executions. And if the proceeds of such sale, after the payment of costs, are not sufficient to satisfy the whole amount of such liens included in the decree of sale, then such proceeds shall be apportioned according to the rights of the several parties. In case the proceeds of sale amount to more than the sum of said liens and all costs, then the remainder shall be paid over to the owner of said property; and each party whose claim is not fully satisfied in the manner provided in this section shall have execution for the balance unsatisfied against the party personally liable, as in other cases. (2) In the first instance without a previous sale of said property to which such liens have attached, an execution may issue in behalf of any such lien claimant for the full amount of his claim against the party personally liable, and he may thereafter enforce such lien for any balance of such judgment remaining unsatisfied. A transcript of the docket of said judgment and decree may be filed with the county clerk and recorder of the county where such property is situated or in any other county, and thereupon said judgment and decree shall become a lien upon the real property in such county of each party so personally liable in favor of any such lien claimant holding any such judgment against any such party so personally liable, as in other cases of recording transcripts of judgment. Principal contractors and all other persons personally liable for the debt for which the lien is claimed shall be made parties to actions to enforce liens under this article, and service of summons shall be made either personally or by publication in the same manner and with like effect as is provided by law in cases of attachment and other proceedings in rem." The court shall divide the costs between the parties liable therefor, according to the justice of the case. Any party claiming a lien may assign in writing his claim and lien to any other claimant or other person who shall thereupon have all the rights and remedies of the assignor for the purpose of filing and for the enforcement of any such lien by action under this article, and the assignment shall be a sufficient consideration as to all other parties for the purpose of such action. Such assignment may be made before or after the filing of the statement of lien. Any such claimant, whether as assignee or otherwise, may include all the liens he may possess against the same property in any such statement, and when more than one such claim is included in one such statement, one verification thereto shall be sufficient. Any person may file separate statements of two or more claims. If, on the trial of a cause under the provisions of this article, the proceedings will not support a lien, the plaintiff and all lien claimants entitled thereto may proceed to judgment as in an action on contract, and executions may issue as provided in such cases, and said judgment shall have all the rights of a judgment in a personal action. The claimant of any such lien, the statement of which has been filed, on the payment of the amount thereof, together with the costs of filing and recording such lien, and the acknowledgment of satisfaction, and accrued costs of suit in case a suit has been brought thereon, at the request of any person interested in the property charged therewith, shall enter or cause to be entered an acknowledgment of satisfaction of the same of record, and if he neglects or refuses to do so within ten days after the written request of any person so interested, he shall forfeit and pay to such person the sum of ten dollars per day for every day of such neglect or refusal, to be recovered in the same manner as other debts. A valid tender of payment, refused by any such claimant, shall be equivalent to a payment for the purpose of this section. Any such statement may be satisfied of record in the same manner as mortgages. (1) No agreement to waive, abandon, or refrain from enforcing any lien provided for by this article shall be binding except as between the parties to such contract. The provisions of this article shall receive a liberal construction in all cases. (2) An agreement to waive lien rights shall contain a statement, by the person waiving lien rights, providing in substance that all debts owed to any third party by the person waiving the lien rights and relating to the goods or services covered by the waiver of lien rights have been paid or will be timely paid. The provisions of the Colorado rules of civil procedure, insofar as the same are applicable and not in conflict with the provisions of this article, shall be observed in proceedings to establish and enforce mechanics’ liens. The provisions of this article shall apply to surveyors, civil and mining engineers doing any work of surveying or plotting of any mines, mining claims, lodes, or mineral deposits, and they shall have like lien and claim as other persons under the provisions of this article. In case the act of doing such work or of furnishing such laborers or materials is continuous, said lien shall attach as in other cases, even though such work is done or laborers or materials have been furnished under two or more contracts between the same parties. No payment made by any owner to any contractor for the purpose of avoiding any anticipated lien of any subcontractor shall be valid; and if any person files either of said statements for a lien for a larger sum than is due or to become due, in fact, or in probability, as the case may be, with intent to cheat or defraud any other person, and that fact appears in any proceeding under this article, such person shall forfeit all rights to such lien under this article. No remedy given in this article shall be construed as preventing any person from enforcing any other remedy which he otherwise would have had, except as otherwise provided in this article. In case of two or more owners, contractors, or subcontractors interested in the same contract, the rule of procedure shall be the same as in the case of one such. No lien, excepting those claimed by laborers or mechanics as defined in section 38-22-108(1)(a), filed for record more than two months after completion of the building, improvement, or structure shall encumber the interest of any bona fide purchaser for value of real property, the principal improvement upon which is a single- or double-family dwelling, unless said purchaser at the time of conveyance has actual knowledge that the amounts due and secured by such lien have not been paid, or unless such lien statement has been recorded prior to conveyance, or unless a notice as provided in section 38-22-109(10) has been filed within one month subsequent to completion or prior to conveyance, whichever is later; except that nothing in this section shall extend the time for recording lien statements as provided in section 38-22-109(4), (5), and (10). For the purposes of this section, the dwelling shall be deemed complete upon conveyance and occupancy if not completed before. The lien for items of labor, work, or material which shall thereafter be furnished shall be effective and may be claimed within the time thereafter as provided in section 38-22-109(4), (5), and (10), and their priority shall not be affected by this section. (1) For the purposes of this section, the word “disburser” means any lender who has agreed to make any loan to the owner or contractor, the proceeds of which are to be disbursed from time to time as work upon a structure or other improvement progresses, or any part of which is to be withheld until all or any part of such work is completed; or, any person who receives funds from any lender, contractor, or owner to be disbursed from time to time as work upon a structure or other improvement progresses, or any part of which is to be withheld until all or any part of such work is completed; or, any owner who has agreed to pay any sum to any contractor from time to time as work upon a structure or other improvement progresses, or any part of which is to be withheld until all or any part of such work is completed. (2) It is the duty of the disburser, prior to the first disbursement, to see that there has been recorded in the office of the county clerk and recorder of the county where the land to be improved is situated, a notice stating the name and address of the owner, the names, addresses, and telephone numbers of the principal contractor, if any, and the disburser, and the legal description of the land and its address, if any. One notice may include as many parcels as desired, providing that all the information is stated as to each parcel. Such notice shall be indexed by the county clerk and recorder under the name of the owner and each principal contractor as grantors and according to address. (3) It is the duty of any person upon ordering or contracting for any labor, services, machinery, tools, equipment, laborers, or materials to be used as provided in section 38-22-101, upon demand of the person from whom he or she is so ordering or with whom he or she is so contracting, to furnish to such person a statement of the names, addresses, and telephone numbers of the owner or reputed owner of the land to be improved, the principal contractor, if any, and the disburser, if any, as defined in subsection (1) of this section, together with a legal description or the address, if any, of the land to be improved. (4) Any lien claimant who is entitled to a lien under this article may give notice to the disburser stating the property by address or legal description, or by such other description as will identify the real property; the claimant’s name, address, and telephone number; the person with whom he has contracted; and a general statement of his contract. (5) Such notice shall be in writing and shall be served upon the disburser by certified mail or by delivering the same personally to such disburser, or by leaving a copy at his residence or at his place of business with some person in charge. (6) Upon such notice being received by the disburser, it is the duty of the disburser, before disbursing any funds to the person designated in said notice with whom said claimant has contracted, to ascertain the amount due to the claimant on any disbursement date, and to pay such amount directly to the claimant out of any undisbursed funds available for and due to said person designated in said notice on such date; except that any amounts actually paid by the disburser to others for labor, services, machinery, tools, equipment, and laborers or materials performed, supplied, or furnished for such structure or improvement that are chargeable to said person designated in said notice shall not be deemed available for said person designated in said notice; and further except that if the amount claimed by said claimant is disputed by said person designated in said notice, the disburser may impound such amount until the amount due is settled by agreement or final judicial determination. (7) If the disburser fails to comply with subsection (6) of this section and the said claimant suffers loss by reason of said failure the disburser shall be liable to said claimant for the amount which the disburser should have paid claimant to the extent of claimant’s loss. (1) All funds disbursed to any contractor or subcontractor under any building, construction, or remodeling contract or on any construction project shall be held in trust for the payment of the subcontractors, laborer or material suppliers, or laborers who have furnished laborers, materials, services, or labor, who have a lien, or may have a lien, against the property, or who claim, or may claim, against a principal and surety under the provisions of this article and for which such disbursement was made. (2) This section shall not be construed so as to require any such contractor or subcontractor to hold in trust any funds which have been disbursed to him or her for any subcontractor, laborer or material supplier, or laborer who claims a lien against the property or claims against a principal and surety who has furnished a bond under the provisions of this article if such contractor or subcontractor has a good faith belief that such lien or claim is not valid or if such contractor or subcontractor, in good faith, claims a setoff, to the extent of such setoff. (3) If the contractor or subcontractor has furnished a performance or payment bond or if the owner of the property has executed a written release to the contractor or subcontractor, he need not furnish any such bond or hold such payments or disbursements as trust funds, and the provisions of this section shall not apply. (4) Every contractor or subcontractor shall maintain separate records of account for each project or contract, but nothing contained in this section shall be construed as requiring a contractor or subcontractor to deposit trust funds from a single project in a separate bank account solely for that project so long as trust funds are not expended in a manner prohibited by this section. (5) Any person who violates the provisions of subsections (1) and (2) of this section commits theft, as defined in section 18-4-401, C.R.S. Any person who files a lien under this article for an amount greater than is due without a reasonable possibility that said amount claimed is due and with the knowledge that said amount claimed is greater than that amount then due, and that fact is shown in any proceeding under this article, shall forfeit all rights to such lien plus such person shall be liable to the person against whom the lien was filed in an amount equal to the costs and all attorney’s fees. (1) Except as provided in subsection (4) of this section, the provisions of section 38-22-101(1) shall not apply if, at the commencement of any work upon any construction project for the improvement of real property as described in section 38-22-101(1), a performance bond and a labor and materials payment bond, each in an amount equal to one hundred fifty percent of the contract price, are executed by the principal contractor and one or more corporate sureties authorized and qualified to do business in this state, for the protection of all contractors, subcontractors, materialmen, and laborers supplying labor, laborers, or material in the prosecution of the work on such construction project for the use of each contractor, subcontractor, materialman, or laborer. (2) All subcontractors, materialmen, mechanics, and others who would otherwise be entitled to a lien under the provisions of section 38-22-101(1) shall have a right of action directly against the principal contractor and his surety for the full amount due. Such action shall be brought within six months after completion of the last work on such project. (3) In order to be effective, a notice of such bond shall be filed with the county clerk and recorder of the county wherein such project is situate prior to the commencement of any work on the project and shall be indexed according to both the street address and the legal description of the property to be improved. The principal contractor shall post a notice on the property that notice of such bond has been filed with the county clerk and recorder and shall make available copies of the bond to every contractor, subcontractor, materialman, mechanic, or laborer upon request. (4) If any claimant files for record a lien statement or other notice, pursuant to section 38-22-109, such lien shall be deemed released upon the filing for record of a notice executed by both the principal and all sureties acknowledging the existence of the bond furnished for such project and that said lien claimant is entitled to claim the benefits of said bond. Such acknowledgment shall be executed by the principal and sureties upon demand of the owners or any person filing a lien statement. Said notice may be delivered personally to the surety or its agent and the principal or his agent or may be mailed by certified or registered mail. If the principal and all sureties on any such bonds fail or refuse to execute and record such acknowledgment within thirty days after written demand is made upon them, all lien claimants shall be entitled to enforce their lien claims in the same manner as if no bond had been filed as provided in subsection (1) of this section. (5) In the event that any corporate surety on any bond filed pursuant to the provisions of subsection (1) of this section becomes subject to an order for relief under the federal bankruptcy code of 1978, title 11 of the United States Code, is the subject of any state or federal corporate reorganization proceedings, makes any assignment for the benefit of creditors, or otherwise is unable to meet its financial obligations as they become due, the provisions of this section shall not apply, and any lien claimant shall be entitled to enforce such lien claim in the same manner as if no bond had been filed as provided in subsection (1) of this section. (1) Subcontractors, materialmen, mechanics, and others who have claims aggregating two thousand dollars or less each on construction projects for the improvement of real property as described in section 38-22-101(1) for which a bond was executed pursuant to section 38-22-129 shall serve upon the principal contractor and his surety an affidavit, supported by all reasonably available documentary evidence, that a claimant has furnished labor or materials used or performed in the prosecution of the work on such project, that he has been unpaid therefor, and the amount of such claim. If after forty-five days such affidavit remains uncontroverted, such surety shall pay to such claimant forthwith the full value of his claim. (2) Service of such affidavit may be accomplished by certified or registered mail, by personal delivery to such person, or by leaving a copy at his residence or at his place of business with some person in charge. (1) Whenever a mechanic’s lien has been filed in accordance with this article, the owner, whether legal or beneficial, of any interest in the property subject to the lien may, at any time, file with the clerk of the district court of the county wherein the property is situated a corporate surety bond or any other undertaking which has been approved by a judge of said district court. (2) Such bond or undertaking plus costs allowed to date shall be in an amount equal to one and one-half times the amount of the lien plus costs allowed to date and shall be approved by a judge of the district court with which such bond or undertaking is filed. (3) The bond or undertaking shall be conditioned that, if the lien claimant shall be finally adjudged to be entitled to recover upon the claim upon which his lien is based, the principal or his sureties shall pay to such claimant the amount of his judgment, together with any interest, costs, and other sums which such claimant would be entitled to recover upon the foreclosure of the lien. Notwithstanding any other provision of this article or section 38-35-110, upon court approval of a bond or undertaking as provided in section 38-22-131, and upon the issuance and recording of a certificate of release as specified in this section, the lien against the property, and any notice of lis pendens or notice of the commencement of any action relating to such lien, shall be immediately discharged and released in full; the real property described in such bond or undertaking shall be forever released from the lien, from any notice of lis pendens or notice of the commencement of any action relating to such lien, and from any action brought to foreclose such lien; the bond or undertaking shall be substituted; and no notice of lis pendens or notice of the commencement of any action relating to such lien or any action for the enforcement or foreclosure thereof shall thereafter be recorded against the property. The clerk of the district court with which such bond or undertaking has been filed shall issue a certificate of release which shall be recorded in the office of the clerk and recorder of the county wherein the original mechanic’s lien was filed, and the certificate of release shall show that the property has been forever released from the lien, from any notice of lis pendens or notice of the commencement of any action relating to such lien, and from any action brought to foreclose such lien.